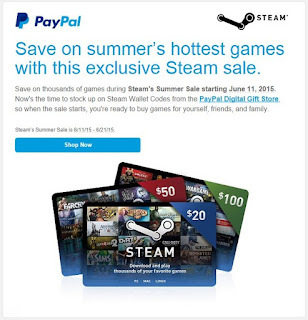 Steam's Summer Sale Coming June 11-21th Plan Your Buys Now! Often considered one of the hottest gaming sales of the year, the Steam Summer Sale is reportedly going to kick off a bit early this year. According to reports and leaked emails sent from PayPal, gamers will only have to wait a couple more days to get major discounts on some of their favorite game titles! For those that remember, last year we saw Steam change things up a bit by featuring several different kinds of sales, including daily deals, that changed every 24 hours, flash sales, which were only live every eight hours, and community picked games which also involved community participation to help keeps fan engaged and checking back with the site. During the community involvement phase gamers got to vote on two sets of games, and earn trading cards along the way. You could also earn a Summer Adventure badge by earning special trading cards you can get from voting, as well as trading in the Community Market, crafting badges, or buying more games. As of right now it is uncertain how many of these aspects we'll see this year or if we'll see Steam doing something else new and different. 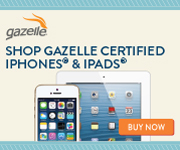 One thing is for certain though, you can expect to see some great offers! We shared several tips for getting the best of the best deals in our Steam Summer Sale 2014 post so be sure to check those out. For good measure we'll add a couple additional tips below. Wishlist, Wishlist, Wishlist! : One of the biggest tips from every Steam Sale is use your wishlist to get the best deals! Adding games, even those not on sale, will trigger notifications when they do go on sale. So build that list now and then you can sit back and watch the sales for other games you might be interested in but weren't targeting. Team up with your gaming friends: Organize a few group buys, Steam Sales are usually a great time to get big discounts on multiplayer games. Even more so with friends. In the past we've seen scenarios where buying four copies resulted in one being free, making this the opportune moment to get your multiplayer fix cheaper if you bring friends along. Watch the clock and time your buys: If you see a game you want on sale check the details out on the game's page and see how long the deal lasts. If it is a daily wait until later in the day to buy. Often times you may see that same game go on a flash sale. Just try to avoid the last minute rush. Check in as often as possible: Keep a close eye on the Steam home page, you never know when you might have missed a deal and it will suddenly be a hot ticket item on the home page. Additionally, until we know the details of the types of sales Steam will offer, we don't know if they might slip in an occasion 'hidden deal' or not..you never know! One final tip, and this should really go without saying, don't feel like you need to wait for the sale to make your purchases. Steam and other sites already have some great everyday deals that can be had with a little side work. Sure the sale offers a ton of great deals all in one place without having to do that work, but that doesn't mean better deals can't be found. Finally, have fun and happy shopping...that is what gaming and sales are all about right!